A five-year-old English child was taken to hospital after coming across a painkiller tablet she found inside a packet of chocolate sweets, online newspaper Metro reported yesterday. The little girl, Annabelle Stark, had gone out trick-or-treating for Hallowe’en with her three-year-old brother, Joel, in the northern England town of Stockport. She was given a pack of Smarties, a sweet containing chocolate covered in a sugar shell popular among children in the United Kingdom. Her mother, Kayleigh Stark, gave the packets of sweets to her children as a treat, only to discover that one of the Smarties was a prescription pill, namely the strong anti-inflammatory medicine Diclofenac, which is only available via a doctor’s prescription note. The mother became concerned that Annabelle had eaten a pill and immediately rushed the child to hospital, Metro reported. The orange-coloured pill, which bears a strong resemblance to a Smartie, was also taken by the mother to show to doctors at Stepping Hill Hospital. She had opened the box this past Thursday and poured the sweets into a bowl for her son when she spotted the medicine, which is believed to have been put in the box of Smarties after the multipack it was in was opened by the original purchaser who gifted it to the children. Kayleigh called her husband Chris to notify him of the discovery, and found out that their daughter had already eaten another box of Smarties on Hallowe’en. Worried for her health, they called the 111 non-emergency number run by the UK’s National Health Service (NHS), where an advisor asked her to take Annabelle to her nearest hospital accident and emergency ward. “We just didn’t know if there had been another pill – or what it even was,” she said. ‘We took her to Stepping Hill hospital and they carried out loads of tests – blood pressure, temperature, blood sugars, urine samples, heart trace. ‘She was quite scared by it all as she didn’t feel poorly. I had to explain to her that she hadn’t done anything wrong, but that there was a naughty pill in her brother’s sweets so we had to check her over. Thankfully, Annabelle was given a clean bill of health, although medical staff warned the mother that had her child ingested the Diclofenac, she would have suffered vomiting. 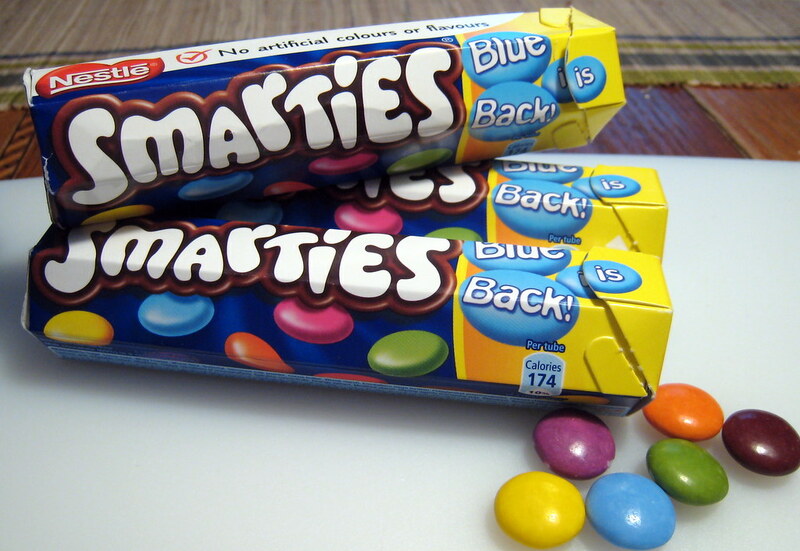 The manufacturer of Smarties sweets, Nestlé UK, and the Greater Manchester Police were both informed of the incident and are currently investigating. In a statement, Nestlé told the Metro: “We are aware of this instance and have been speaking with the family involved. We have very strict controls in place to ensure the quality and safety of all of our products.”. As the box was opened after purchase and before it was given to the Stark family, there is no implication that the pill was included in the pack under Nestlé’s watch.